New WSUD Audit Guidelines are now available for industry review. 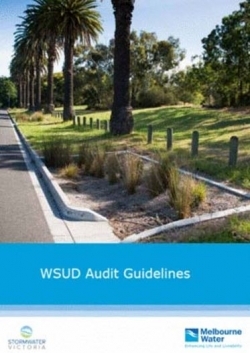 The guidelines describe how to undertake audits of WSUD assets to determine their condition and identify maintenance and renewal requirements. These have been prepared by E2Designlab as part of a Stormwater Victoria and Melbourne Water partnership. Potential users are encouraged to trial the guidelines and spreadsheet and provide feedback to Stormwater Victoria and its supporting partners. Note: You will be asked to create a login to access the Asset Audit Guidelines - this is to track user feedback and modifications.